Welcome to Repairs on Wheels, “the wheel people”! Located in Brooklyn and open 24 hours a day, our professionals offer convenient and cost effective solutions for rim repair, straightening, welding and refinishing. "This is way more than just car care -- it's a way of life." "Great results always come with a story. http://bit.ly/2zNHVi0"
"It looks like an auto shop, but it's really an Instant Day Improver." "Always a great day to look back on!" Super quick inspection, in and out! Yes, I'd like to receive news from Repairs On Wheels. 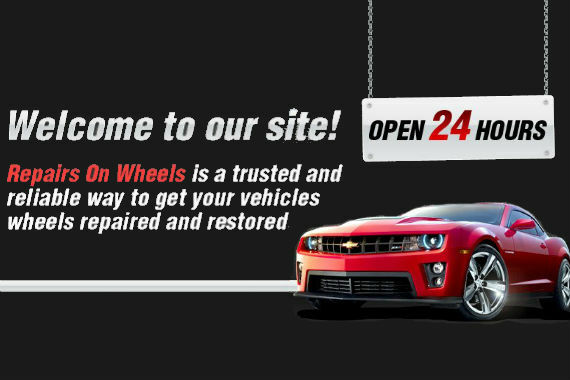 Sign up for the Repairs On Wheels Newsletter!